Shares in Bushveld Minerals Limited found using EPIC: LON:BMN have stepped up 5.37% or 0.09 points during the course of today’s session so far. Traders have stayed positive throughout the session. The high for the period has reached 1.78 and a low of 1.75. The total volume of shares traded by this point was 1,276,279 with the daily average traded share volume around 3,331,189. The 52 week high for the shares is 3.92 amounting to 2.25 points in difference on the previous days close and a 52 week low being 1.4 is a variance of 0.27 points. The current market capitalisation is £10.28m at the time of this report. The stock is traded in GBX. Mcap is measured in GBP. This article was written with the last trade for Bushveld Minerals Limited being recorded at Thursday, August 18, 2016 at 12:02:29 PM GMT with the stock price trading at 1.76 GBX. 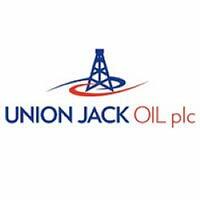 The share price for Union Jack Oil PLC ticker code: LON:UJO have climbed 6.36% or 0.01 points during today’s session so far. Traders have so far held a positive outlook during this period. The periods high has already touched 0.15 and hitting a low of 0.15. Volume total for shares traded during this period was 2,670,953 with the average number of shares traded daily being 7,699,513. The 52 week high is 0.27 some 0.13 points difference from the previous days close and putting the 52 week low at 0.1 a difference of some 0.04 points. This puts the market capitalisation now at £4.59m at the time of this report. The share price is in Great British pence. Mcap is measured in GBP. This article was written with the last trade for Union Jack Oil PLC being recorded at Thursday, August 18, 2016 at 10:39:05 AM GMT with the stock price trading at 0.15 GBX. 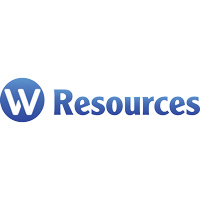 Shares of W Resources PLC ticker code: LON:WRES have risen 6.64% or 0.03 points during today’s session so far. Market buyers have stayed positive during this period. The period high has peaked at 0.47 dropping as low as 0.4. The volume total for shares traded up to this point was 54,339,340 whilst the average number of shares exchanged is 12,998,231. The 52 week high price for the shares is 0.88 around 0.44 points different to the previous business close and a 52 week low sitting at 0.27 a difference of some 0.17 points. W Resources PLC now has a 20 SMA at 0.41 and also a 50 day moving average now of 0.41. This puts the market capitalisation now at £19.19m at the time of this report. The currency for this stock is Great British pence.Market cap is measured in GBP. This article was written with the last trade for W Resources PLC being recorded at Thursday, August 18, 2016 at 12:09:58 PM GMT with the stock price trading at 0.47 GBX. 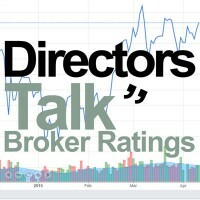 Shares of Glencore PLC found using EPIC: LON:GLEN have stepped up 2.52% or 4.85 points during the course of today’s session so far. Investors seem confident throughout the trading session. Range high for the period has seen 197.55 and hitting a low of 193.65. The number of shares traded by this point in time totalled 12,502,776 whilst the daily average number of shares exchanged is just 49,492,316. The 52 week high price for the shares is 200.97 some 8.37 points difference from the previous days close and the 52 week low at 66.67 making a difference of 125.93 points. Glencore PLC now has a 20 SMA of 192.43 and the 50 day moving average at 172.64. This puts the market capitalisation now at £28,433.17m at the time of this report. All share prices mentioned for this stock are traded in GBX. Mcap is measured in GBP. This article was written with the last trade for Glencore PLC being recorded at Thursday, August 18, 2016 at 12:15:42 PM GMT with the stock price trading at 197.45 GBX. Click bmn GLEN UJO WRES for the full archive.